This might not be a film set but it doesn't mean you shouldn't look good. 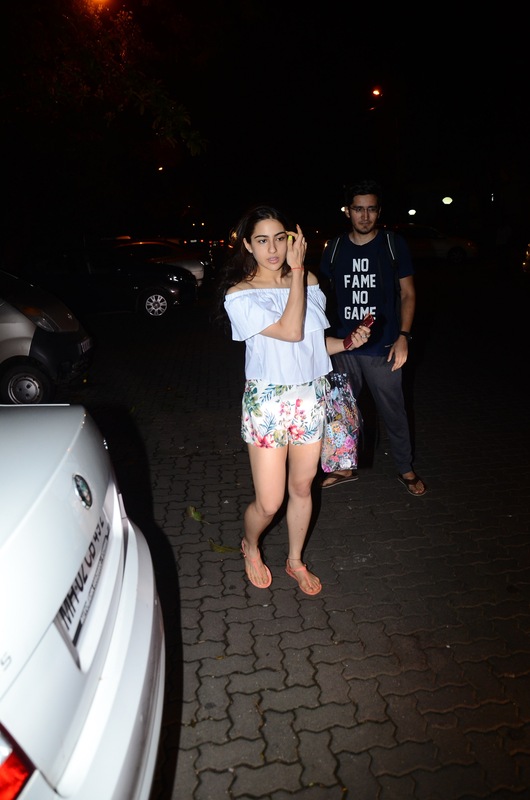 Sara Ali Khan fixes her hair as the paps go shutter-happy. We heart the floral combo of her shorts and the handbag. The orange slippers makes things colourful.